A pattern is already emerging in this young election season: “Improbable Winners”, the kinds of races and candidates that pundits and others are quick to write off, often because they don’t fit traditional profiles or molds. The kinds of candidates who are winning and who are going to win even more. The kinds of candidates and campaigns Airlift supports. The Old School way was that candidates were dictated by the party, with messages, appeal and policies shaped by focus groups. The following candidates are all New School. They rose from the bottom up, despite the odds against them. They were nurtured by the grassroots. Their backgrounds enable them to understand and work for their constituents, as they break various glass ceilings. 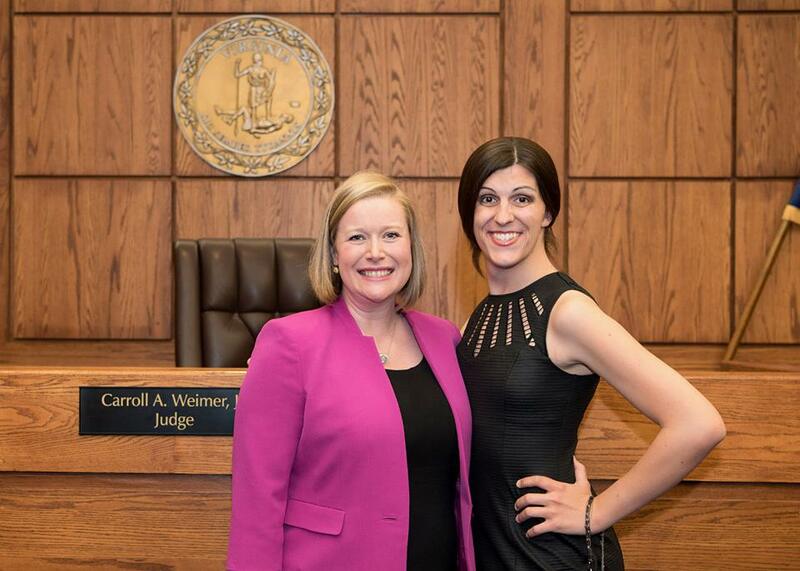 DANICA ROEM (pictured, right) will serve in the Virginia House of Delegates and will be the first openly transgender person to serve in any state legislature in the country. Roem soundly defeated Bob Marshall, a longtime Republican delegate who sponsored legislation that would have restricted transgender bathroom use and who called himself the state's "chief homophobe." LEE CARTER is a member of the Democratic Socialists of America and a Marine Corps veteran. Go figure. Carter beat the Republican majority whip in Virginia, despite being given little chance by state Democratic party leaders. HALA AYALA is one of the first Latinas in the Virginia House of Delegates. She just knocked off a four-term Republican incumbent in the 51st district. Not bad for someone running for the first time! ELIZABETH GUZMAN came to America from Peru as a single mom looking for a better future for her daughter. I worked 3 jobs to be able to afford a one-bedroom apartment. My opponent accused me of wanting to protect criminals. Well guess what? now I am a Virginia state legislator. VI LYLES became the first African-American female mayor of Charlotte, North Carolina, at the age of 66. We believe her election will lead more young women to think it’s possible for them. KATHY TRAN came to the U.S. as a refugee from Vietnam when she was a little girl. She is now the first Asian American woman to join the Virginia House of Delegates, replacing a Republican who served for 24 years. RAVI BHALLA is the new Sikh-American mayor of Hoboken, New Jersey. Bhalla is everything Trump hates. Bhalla has pledged to defend our rights as immigrants and minorities whenever they come under attack. JANET DIAZ is the first Latina city council member in Lancaster, PA. She believes that the political climate following the presidential election has spurred many people to engage in the political process on the local level to protect their own communities. ANDREA JENKINS won the race on November 7th for an open seat on the Minneapolis City Council with over 73 percent of the vote. She is a 56-year-old poet and historian who transitioned in her 30s, and spent years as a policy aide to two previous council members in the same ward. She is the first openly transgender candidate elected to the city council of a major U.S. city. PHILLIPE CUNNINGHAM is a 29-year old transgender black man who unseated Barb Johnson, the leader of the Minneapolis City Council. Phillipe’s issues are environmental justice, clean energy access, and good governance. RANDALL WOODFIN is a 36-year-old black man who was elected Mayor of Birmingham, Alabama. Woodfin ran on a platform of debt-free college for high school graduates, a summer jobs program for city teens, and a $15 minimum wage. Woodfin beat his two-term opponent by 17 points, even winning the opponent’s home district. MANKA DHINGRA was born in India. After her father died, she moved to the U.S., where I studied at UC Berkeley and became a District Attorney in Seattle, fighting for immigrants and women who were victims of domestic violence. She is Washington’s newest state senator, which means the Democrats now control the governorship and both houses of the WA state legislature. JOYCE CRAIG is the first woman mayor in the 266-year history of Manchester, New Hampshire. She almost beat the Republican mayor in 2015. This time it wasn’t even close. She pledges to improve city schools, reduce crime, and address the opioid crisis. WILMOT COLLINS (pictured) arrived in Helena, Montana, 23 years ago as a refugee from Liberia. Collins, a 54-year-old black man, Naval Reservist and child protection specialist with the state of Montana, was recently elected Mayor of Helena, Montana. STEPHANIE MORALES is a black woman who just got reelected as the District Attorney of Portsmouth County, Virginia. Morales prosecuted and won a conviction in a case of a white police officer who killed a young, unarmed black man in a Wal-Mart parking lot. A lot of folks thought that would get her unelected. She got 62% of the vote. JENNY DURKAN was just elected to be Seattle’s first lesbian mayor, sending a clear message to Donald Trump…Keep your hands off Seattle. We look forward to meeting and supporting more "improbable" winners in 2018 and beyond.